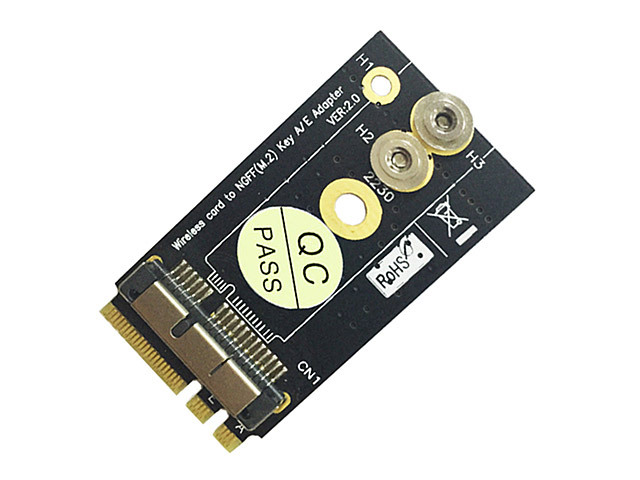 This adapter can convert BCM94360CS2/BCM943224PCIEBT2 card to NGFF(M.2) Key A/E interface for Mac OS and Hackintosh. 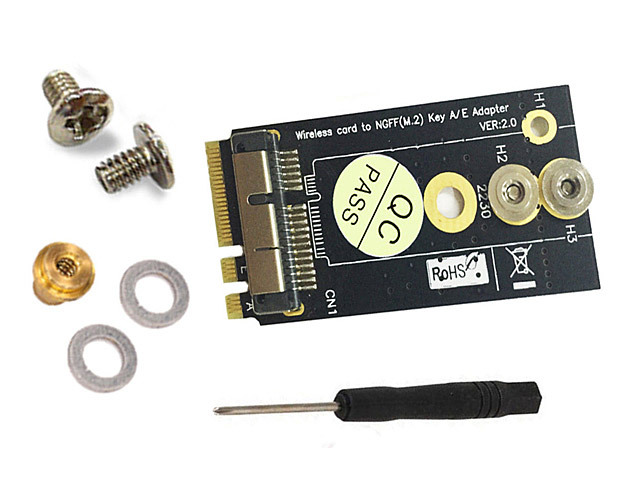 This adapter is not suitable for notebook/laptop due to height bottleneck limit, it is suitable for desktop motherboard with NGFF(M.2) key A/E connector, such as Asus, MSI and GIGABYTE Z170 ITX series motherboard. 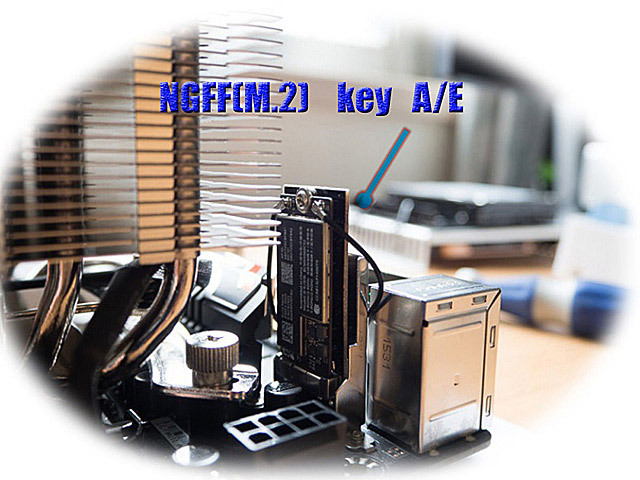 Supports only 2230 type M.2 key A/E connector. 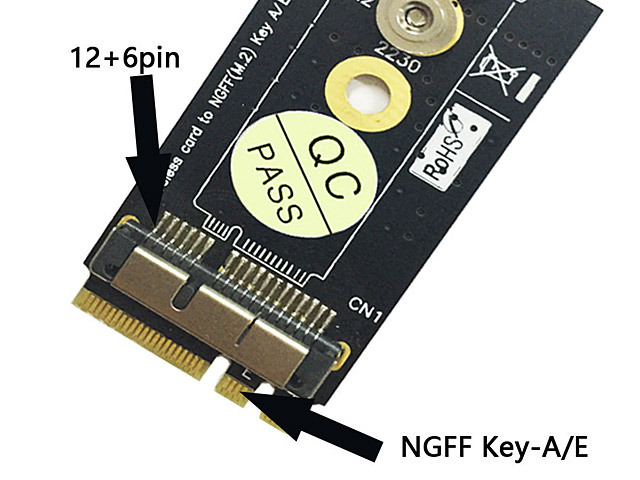 The B-key and M-key SSD NGFF don't work. 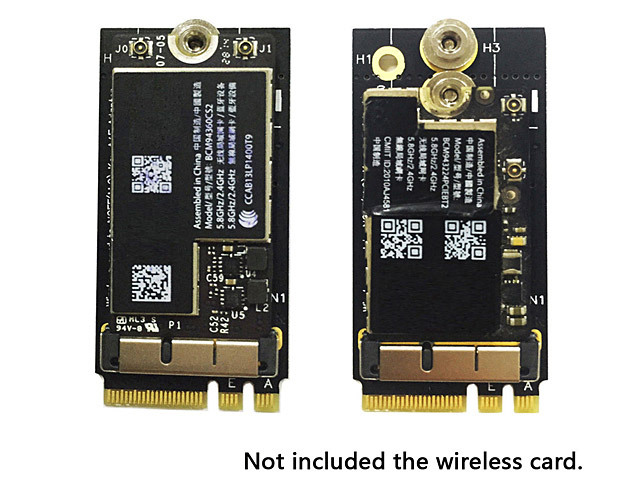 This adapter does not contain BCM94360CS2/BCM943224PCIEBT2 card.